With a bold modern design, this typically traditional furniture piece receives a refreshing facelift into the age of clean lines and sharp contrasts. The Anthony Mantel displays a 28” Dimplex Electric Fireplace, which appears to extend past its impressive flame effect with the help of the stark black surround. With features across multiple designs and a Natural Walnut finish, the Anthony Mantel can easily complement modern and transitional spaces. Looking to add an eye-catching furniture piece to your living space or study? 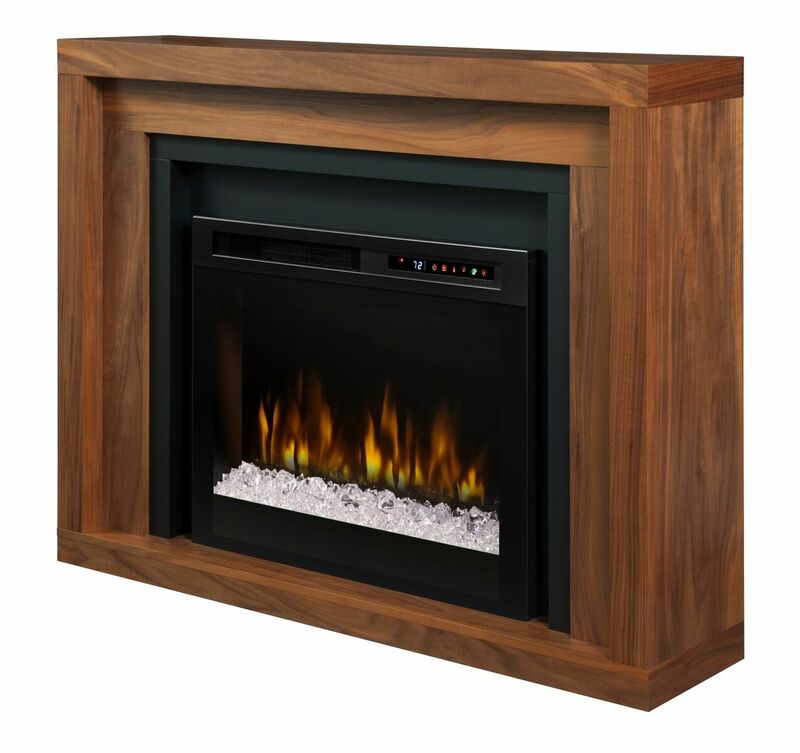 Look no further than the handsome Anthony Electric Fireplace.